Anthony Manos is a Catalyst with Profero, Inc., where he provides professional consulting services, implementation, coaching and training to a wide variety of organizations, large and small, private and public, in many industries focusing on Lean Enterprise and Lean Healthcare. Mr. Manos has extensive knowledge of Lean and quality in a wide range of work environments. Tony is trained and certified by the National Institute for Standards and Technology (NIST) U.S. Department of Commerce in all elements of Lean manufacturing. Relying on his diverse knowledge of business, manufacturing techniques and applications, Tony has assisted numerous clients in implementation of Lean Enterprise and Lean Healthcare. Over the past nine years, he has helped over 150 companies in several aspects of Lean implementation including: team building, standardized work, 5S workplace organization & visual workplace, quick changeover, plant layout, cellular, kanban, total productive maintenance, kaizen events and Hoshin planning. 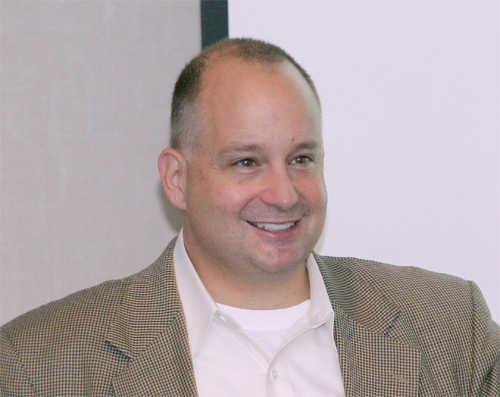 Tony is an internationally recognized speaker and expert on Lean and presents at several conferences a year. As a member of American Society for Quality’s (ASQ) faculty, he teaches a two-day course in Lean Enterprise and a one-day course on Kaizen. Tony is the past Chair of the Lean Enterprise Division of ASQ. He is a senior member of the Society of Manufacturing Engineers (SME) and a member of the Association for Manufacturing Excellence (AME). He is part of the team that is developed the Lean Certification for AME, SME and the Shingo Prize. Tony is the co-author of the book “Lean Kaizen: A Simplified Approach to Process Improvement” and author of many articles on Lean and its allied subjects. Mr. Manos served in the United States Navy nuclear propulsion program and holds and MBA from the University of Illinois at Chicago.